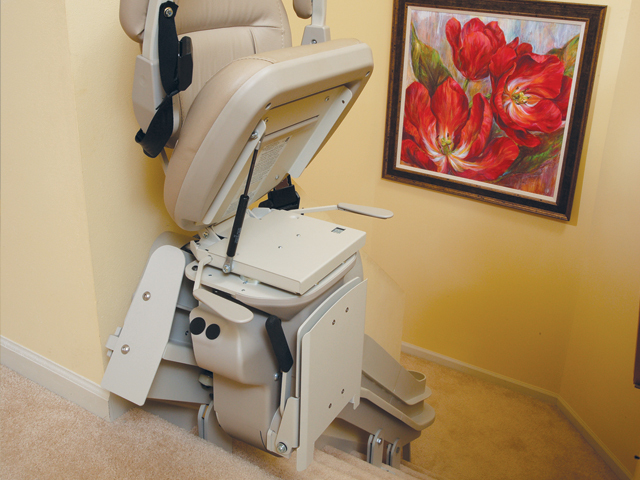 All stair lifts come standard with several safety features. Have the stairs in your NY home turned into an obstruction rather than a convenience? As purchasing a single-story home is financially out of the question for many homeowners, modifying an existing one becomes essential. When you need to expand accessibility beyond the stairs, turn to Nationwide Lifts' Upstate NY location for stair lifts. Systems equipped with adjustable features, foldable, swivel designs, and safety sensors install along a wall or staircase to make this a possibility. 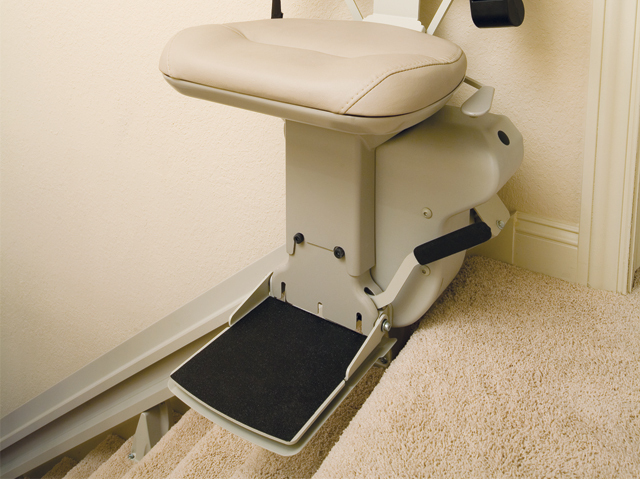 Where do you plan to place your stair lift? 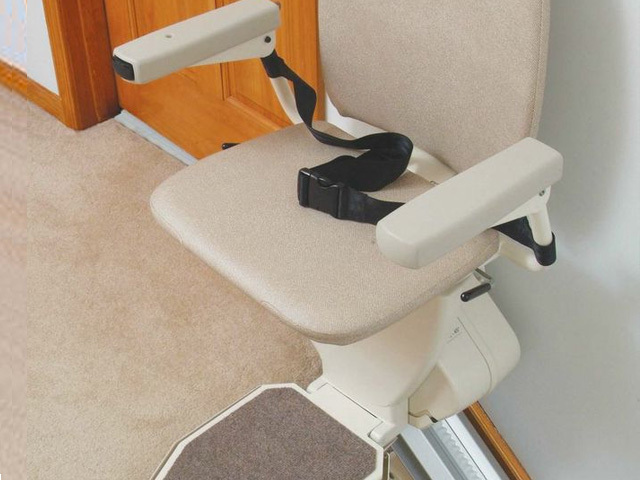 If your NY home's stairways are particularly narrow, opt for the Indy Pinnacle, our smallest stair lift that sits just 11 inches away from the wall while supporting up to 350 pounds! 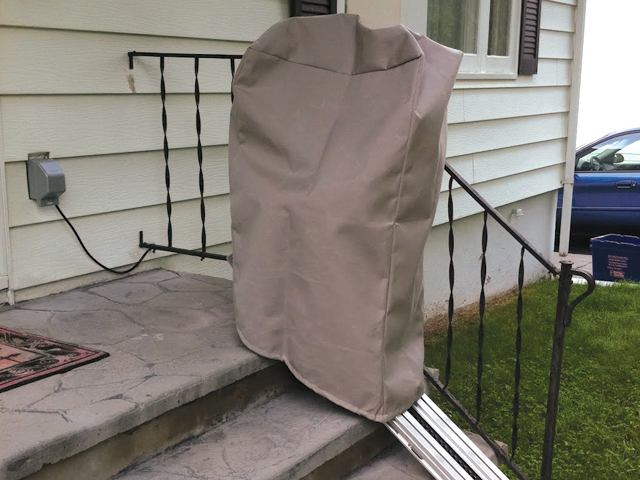 Or, if your front steps are a hurdle to climb over, install the Indy Outdoor, a stair lift that, through multiple weather-tight covers and a durable design, withstands Upstate New York's unpredictable seasons. 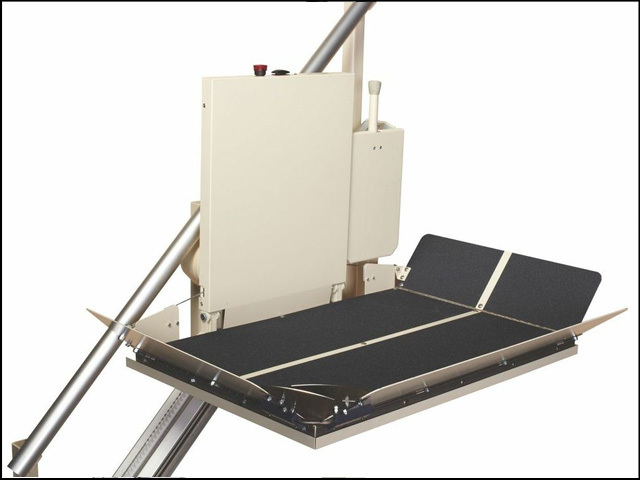 Particularly for commercial buildings but also a significant point for residential structures, a wide range of body types may use the stair lift. As such, Nationwide Lifts has you prepared. 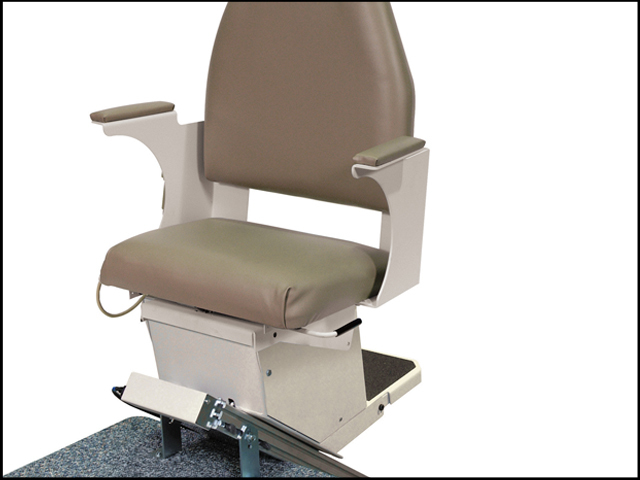 Our models vary up to the 600 pounds supported by the Indy XL, which further offers a 25-inch wide seat and adjustable, reinforced heavy-duty design. If you're looking for something smaller, consider the Indy Lux, with a more compact format that supports up to 400 pounds and offers adjustable features. Older buildings and narrowly-designed row homes benefit from the Indy Pinnacle’s compact design, which sits just 11 inches from the wall when folded. 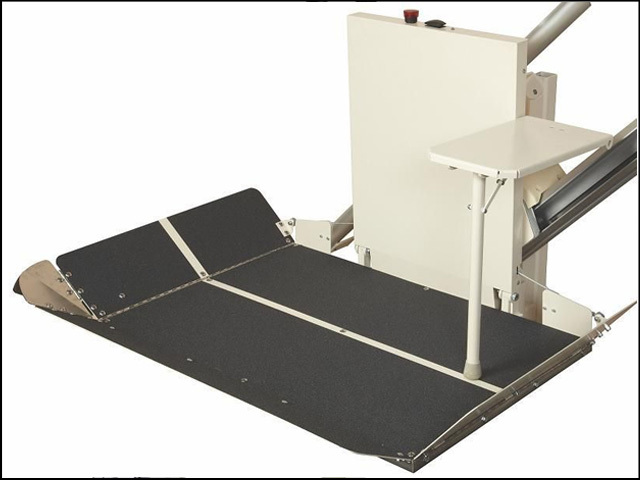 This affordable system is the narrowest stair lifts on the market and supports up to 350 pounds. Not only is this the narrowest stair lift, this is the most efficient. This will travel 40 trips on battery backup, which is twice the capability of the typical stair lift. Additionally, the Indy Pinnacle track does not require lubrication. No need for messy grease that can collect dust and pet hair. The Indy Lux’s adjustable design accommodates several body types while supporting up to 400 pounds. The stitched seat gives this lift a luxury look and feel. 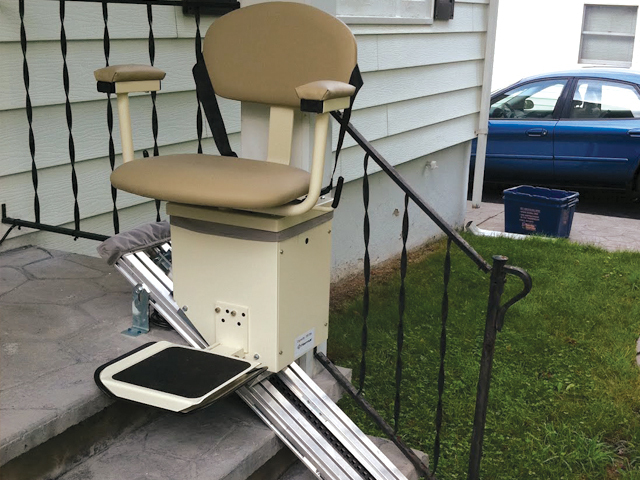 When your Central NY home’s staircase has a unique format, with turns and landings, get a stair lift that matches with the Indy Curve. Nationwide Lifts constructs these models to your specifications. 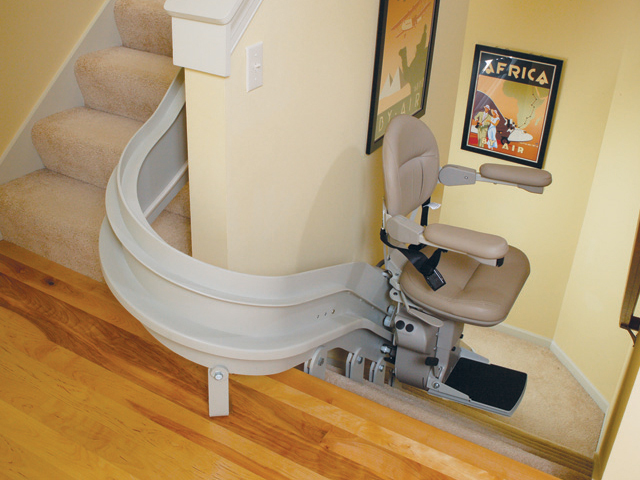 Beyond the curved track that aligns with every contour and angle, the stair lift accommodates up to 350 pounds and a range of body types. A durable design assists homeowners, business clients, and employees with getting up an outdoor staircase no matter the weather. 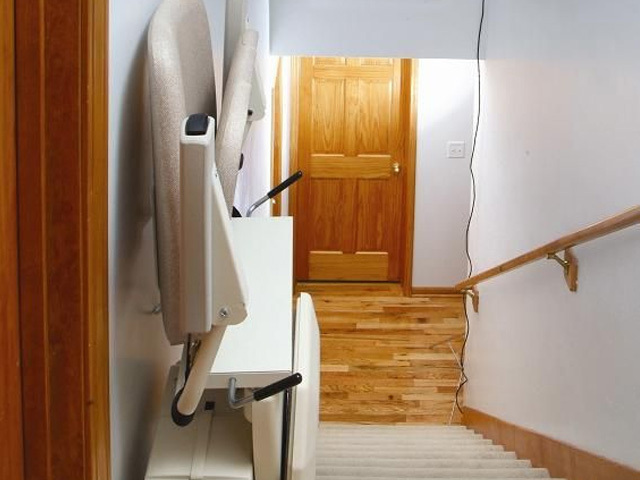 Snow and ice won’t stop this stair lift, which offers a 19-inch seat and 350-pound capacity. While weather-tight covers keep out the elements, the mobility system installs directly to the stairs. 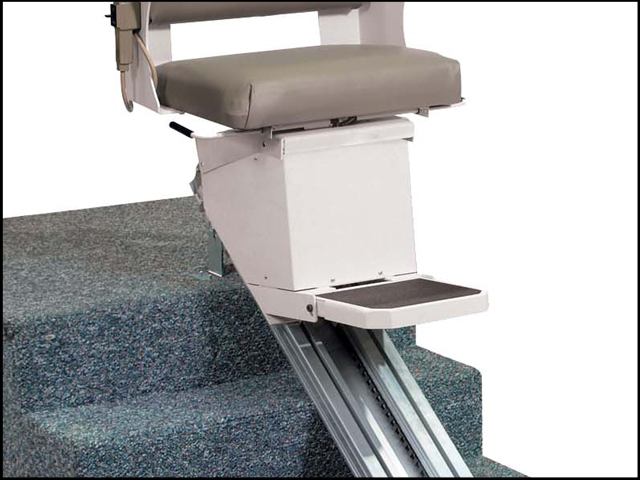 Nationwide Lifts offers the greatest carrying capacity with the Indy XL, a stair lift that supports up to 600 pounds. 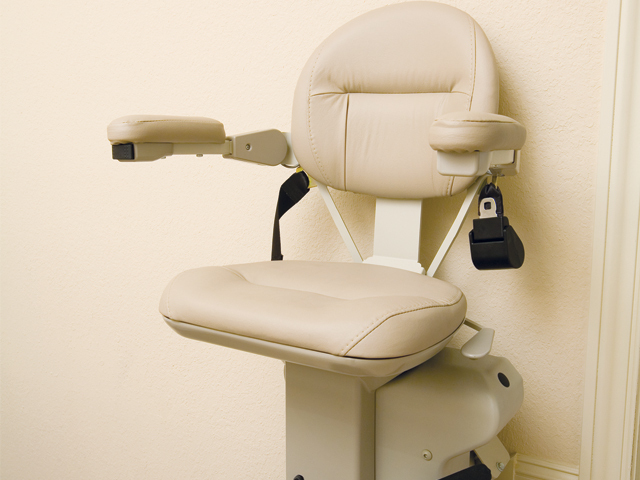 It offers a 25-inch swivel seat and reinforced, heavy-duty design.